1. Heat 1 tbs of ghee and fry the cashes, cracked almonds and raisins. Keep it aside. 2. Wash and peel the skin of the carrots. Grate them using medium grater, Keep it aside. 3. Heat 2 tbs of ghee in a heavy bottom kadai or non stick pan, add grated carrot and fry them till raw smell goes out. 4. Then add boiled milk and stir well. Cook till the milk evaporates. 5. Now add the sugar and stir well. 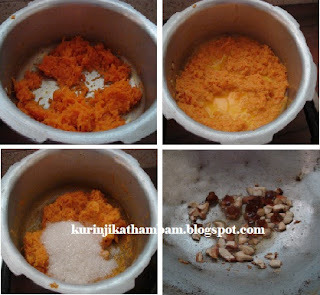 When the mixture starts to leave from the sides add remaining 1 tbs of ghee and fried nuts. 6. Then transfer to the bowl and serve it to cool or at room temperature. 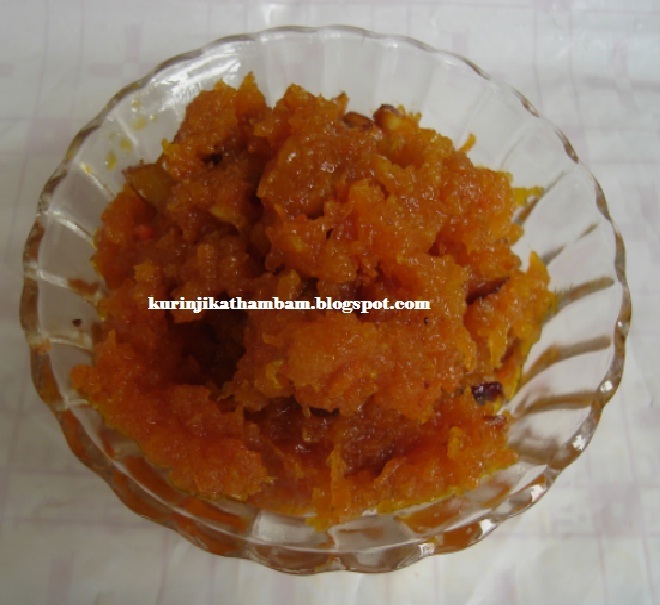 My favorite halwa,looks so yummy and love the texture. 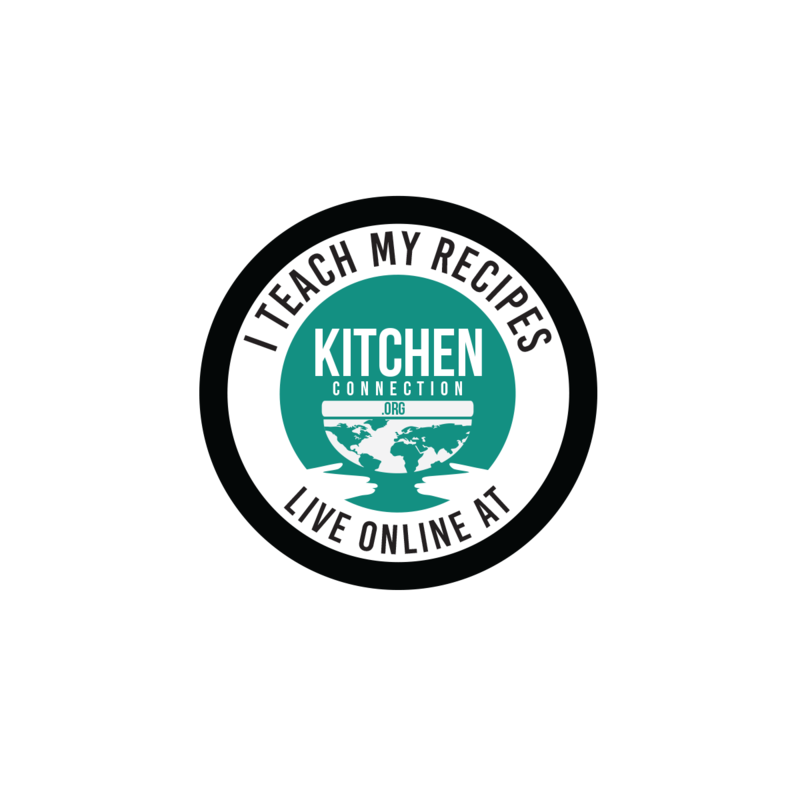 Welcome back Kurinji!!! How is your kids..This is my fav halwa..Delicious.. delicious halwa . . . . . .
All time favorite of all the people who have tasted. Delicious!!! 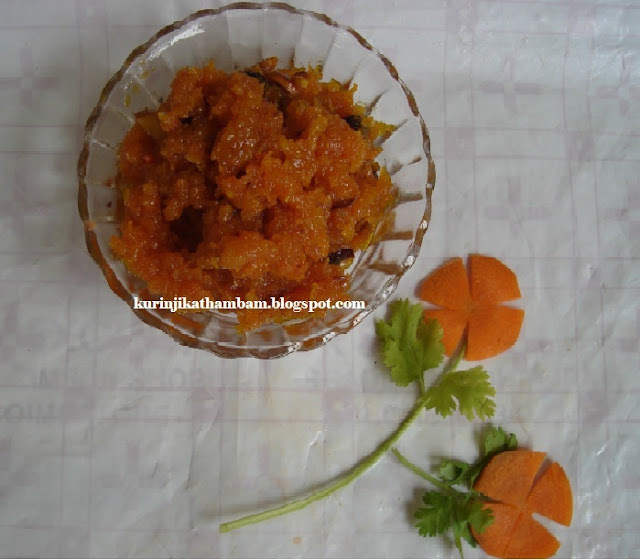 season is coming when we eat more carrot halwa. Isn't it? 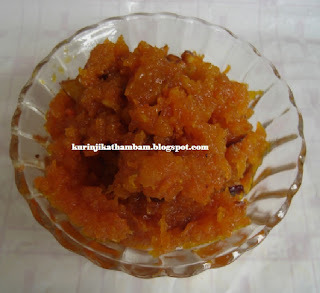 Wow the carrot halwa looks so lovely and tempting !! perfectly done n beautiful luking halwa.my fav.